We’ve all been there—frustrated with the services (or lack thereof) we’ve received or additional fees (sometimes hidden) we’ve been assessed for one thing or another. 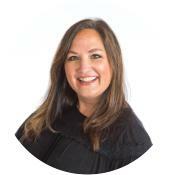 For Vacation Rental homeowner Melissa Palmeri of New York, her frustration came from significant changes occurring within the vacation rental industry. Instead of complaining, this entrepreneur decided to take action and created New York Rental By Owner. 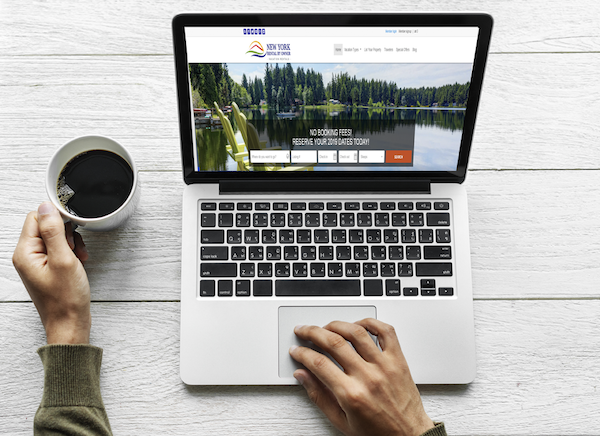 The locally owned and independently operated business directly connects travelers to vacation rental homeowners with a beautifully inviting and easy to navigate booking website. By eliminating the middleman she is effectively reducing owner and traveler fees and restrictions while increasing service for both the owner and the renter. Her niche marketing website dedicated exclusively to vacation rentals located across New York is the fastest growing listing site of its kind in the state. “They say it takes seven touches for a consumer to recall your product. The more times people see us, the more they’ll remember us and be more inclined to feel we are a credible source.” ~ Melissa Palmeri. Once the website was launched, she needed a way to connect her homeowners to the perfect travelers. She found destination marketing organizations, including Finger Lakes Wine Country Tourism Marketing Association and the premium, paid digital content available on FingerLakesWineCountry.com, the perfect match. Melissa is building brand awareness through advertising, both digital and in print mediums throughout New York and neighboring states. She even has a print and digital placement appearing in USA Today. “They say it takes seven touches for a consumer to recall your product. The more times people see us, the more they’ll remember us and be more inclined to feel we are a credible source,” she explains. She also finds it’s important to support the local chambers and tourism boards, the place where travelers go to find credible travel planning resources. While she does place ads in visitor guides and national publications, she uses the digital options most often because she can track her return on investment. For others considering advertising on a destination marketing organization website like FingerLakesWineCountry.com, Melissa recommends you try it, advising a minimum three-month trial. Time will tell if the website, or any other marketing endeavor, will work. “Advertising on FingerLakesWineCountry.com and the other tourism board websites works for me. The homeowners I serve are finding guests through these websites and I look forward to growing my relationship with them and with Destination Travel Network,” she concludes. If you find you’re planning a weeklong trip with your family, a romantic weekend getaway, or a reunion on the lake or beach with a group of friends in New York, do yourself and your wallet a favor and search New York Rental by Owner. You’ll save money on booking fees and you’ll find the perfect vacation rental to suit all your needs. If you own a rental in New York and want to benefit from paying fewer fees, open communication with your guests, more bookings and benefit from targeted marketing funnels, contact Melissa at New York Rental by Owner. Want to learn more? Follow New York Rental by Owner on Facebook, Twitter, Pinterest and Instagram to stay up to date on upcoming events. Stacey Gregory joined the Destination Travel Network in 2017 and hit the ground running, communicating with potential advertisers on a daily basis. With a passion for writing and editing actionable, exciting copy, Stacey builds DTN brand awareness through targeted email content and distribution.Together with the DTN team, she helps DMOs promote local businesses and partners while generating revenue through non-disruptive, relevant website advertising.